Stichting Alpe d'HuZes, located at Natuursteen 17, 3991 SP, Houten, is responsible for the processing of personal data as reflected in this privacy statement. Stichting Alpe d'HuZes considers privacy important. Therefore, we ensure that the personal data you share with us are treated carefully. In this privacy statement we would like to explain how we do this. If you have any questions about this, please let us know. You can reach us at deelnemers@alpe-dhuzes.nl. whether you have registered as a (permanent) volunteer. Other personal data that you have actively provided, for example by creating a profile on this website or in correspondence with us (in writing, by e-mail, by telephone). Our website does not intend to collect information about website visitors under the age of 16. Unless they have permission from parents or legal representatives. If a person is younger than 16 years and wants to participate in the event Alpe d'HuZus or Alpe d'HuZes or wants to place orders in our web shop, the explicit consent of parents or legal representatives is required. However, we cannot check whether a regular website visitor or someone requesting information is older than 16 years. We therefore advise parents to be involved in the online activities of their children, in order to prevent data being collected about children without parental permission. If you believe that we have collected personal information about a minor without that consent, please contact us at deelnemers@alpe-dhuzes.nl and we will delete that information. 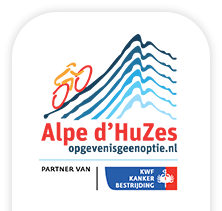 Handling your registration as participant of Alpe d'HuZes/Alpe d'HuZus or as (permanent) volunteer of the Alpe d'HuZes Foundation. Stichting Alpe d'HuZes analyses your behaviour on the website in order to improve the website and to tailor the range of products and services to your preferences. Stichting Alpe d'HuZes does not use automated processing to make decisions on matters that may have (considerable) consequences for individuals This refers to decisions that would be taken by computer programs or systems, without a person (for example an employee of the Alpe d'HuZes Foundation) being involved. Stichting Alpe d'HuZes will not store your personal data longer than is strictly necessary to achieve the goals for which your data are collected. The storage period depends on the purpose for which we have received or collected the data and on any legal obligations to store data. If you have any questions about this, please contact deelnemers@alpe-dhuzes.nl. Data of participants - storage period: 5 years - After the expiration of the period of 5 years, the former participants will receive an email with the request if they would appreciate Stichting Alpe d'HuZes to keep their personal data for a new period of 5 years or that they want to be removed from the database. Data of (permanent) volunteers - retention period: 5 years - After the expiration of the period of 5 years the (former) volunteers will receive an email with the request if they would appreciate Stichting Alpe d'HuZes to keep their personal data for a new period of 5 years or that they want to be removed from the database. Data of persons who have placed an order in the webshop - Data is kept to facilitate a proper return process and refund of payment. At the end of the return period, the personal data will be removed from the database. Data of persons who have made a donation to Stichting Alpe d'HuZes - Data about donations will be kept for the purpose of drawing up the annual accounts (and the audit thereof). Here the legal retention period is observed. Information that is provided by the donor him/herself (for example by mentioning their name on the site or by means of a personal message to a participant), will be kept and are visible on our website during the course year in which the donation took place. After the end of the relevant financial year (30 September), these data will be removed. It is also possible to donate anonymously. Stichting Alpe d'HuZes does not sell your data to third parties and will only provide them if this is necessary for the execution of our agreement with you or to meet a legal obligation. Commissioned by us, Stichting Alpe d'HuZes uses different companies to process your data. (If possible) we conclude a data processing agreement with these companies to ensure the same level of security and confidentiality of your data. Stichting Alpe d'HuZes remains responsible for these processing operations. Stichting Alpe d'HuZes only uses technical and functional cookies. And analytical cookies that do not violate your privacy. A cookie is a small text file that is stored on your computer, tablet or smartphone when you first visit this website. The cookies we use are necessary for the technical operation of the website and your ease of use. They ensure that the website works properly and for example that it remembers your preferred settings. This also enables us to optimise our website. You can opt out of cookies by setting your internet browser to no longer store cookies. In addition, you can also delete all information that has previously been stored via the settings of your browser. You have the right to access, correct or delete your personal data. In addition, you have the right to withdraw your possible consent for data processing or to object to the processing of your personal data by Stichting Alpe d'HuZes and you have the right to data transferability. 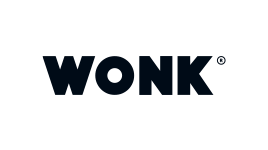 This means that you can submit a request to us to send you, or another organisation specified by you, the personal data we have about you in a computer file. You can send a request for inspection, correction, removal or transfer of your personal data; or a request for withdrawal of your consent; or your objection to the processing of your personal data to deelnemers@alpe-dhuzes.nl. To ensure the correct identity of the individual requesting access to their personal data, we ask you to enclose a copy of your identity document with the request (which we will immediately delete after checking for accuracy). In this copy, black-out your passport photo, MRZ (machine readable zone, the strip with numbers at the bottom of the passport), passport number and Burgerservicenummer (BSN). This to protect your privacy. Stichting Alpe d'HuZes will respond to your request as soon as possible, but in any case within four weeks. Stichting Alpe d'HuZes would also like to point out that you have the opportunity to submit a complaint to the national supervisory authority, the Personal Data Authority. Stichting Alpe d'HuZes takes the protection of your data seriously and takes appropriate measures to prevent misuse, loss, unauthorised access, unwanted disclosure and unauthorised alteration. If you have the impression that your data is not properly protected or there are indications of misuse, please contact deelnemers@alpe-dhuzes.nl.